Will Bezos’s interest in changing education policy affect his control of the Post? As news broke yesterday that Amazon.com founder and chief executive Jeff Bezos has dipped into his personal fortune to buy The Washington Post and several Post-related media properties, there has been buzz about Bezos’s potential political agenda. His record seems to suggest that Bezos is socially liberal, but economically conservative. He has contributed to both Republicans and Democrats, from John Conyers (D-MI) to Slade Gorton (R-WA); donated to the libertarian Reason Foundation; provided $2.5 million to pass gay marriage in Washington State; as well as $100,000 to defeat a modest effort to create an upper income tax in Washington State. 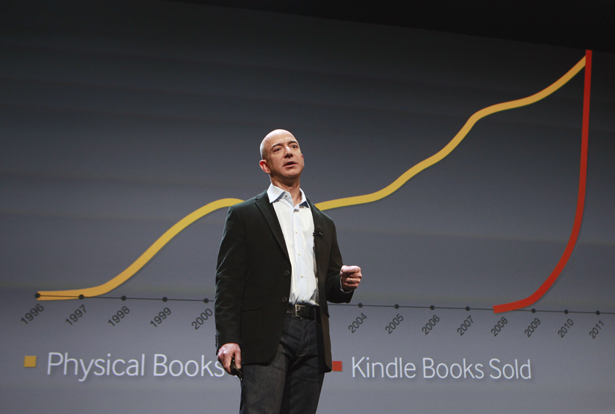 Others have scrutinized Bezos’s record at Amazon to predict his management of the Post. At The New Yorker, David Remnick says that under Bezos Amazon has “demonstrated itself to be ‘a First Amendment absolutist’ when it comes to the sale of controversial books (including Mein Kampf’) and an unwillingness to censor reader comments.” Others are less optimistic, particularly when it comes to Amazon’s lobbying and labor record. The most troubling part of Amazon’s record, as it might relate to Bezos’ ownership of the Post, is Amazon’s December 2010 decision to shut down WikiLeaks’s server access after the group published a trove of State Department cables. Robert McChesney, citing Amazon’s move to pull the plug on WikiLeaks, released a statement today condemning the sale. • The Bezos Foundation has donated to Education Reform Now, a nonprofit organization that funds attack advertisements against teachers’ unions and other advocacy efforts to promote test-based evaluations of teachers. Education Reform Now also sponsors Democrats for Education Reform. • The Bezos Foundation provided $500,000 to NBC Universal to sponsor the Education Nation, a media series devoted to debating high-stakes testing, charter schools and other education reforms. • The Bezos Foundation provided over $100,000 worth of Amazon stock to the League of Education Voters Foundation to help pass the education reform in Washington State. Last year, the group helped pass I-1240, a ballot measure that created a charter school system in Washington State. In many states, charter schools open the door for privatization by inviting for-profit charter management companies to take over public schools that are ostensibly run by nonprofits. Other education philanthropy supported by the Bezos Foundation include KIPP, Teach for America and many individual charter schools, including privately funded math and science programs across the country. But will Bezos’ interest in changing education policy affect his control of the Post? Only time will tell. For now, the change in ownership will probably only benefit the Post’s education coverage, given the newspaper’s long relationship with Kaplan, which helped prop up the paper’s finances for years while the Post either largely ignored the issue of for-profit colleges or sent its executives to Capitol Hill to lobby against better oversight of the industry. Part of the ugly history of the Post is it’s reliance on a predatory for-profit college called Kaplan University. Though Washington Post blogger Lydia DePillis seemed to whitewash this relationship yesterday by referring to Kaplan as only a “lucrative test prep business,” in reality, Kaplan University was one of worst for-profit colleges in the country. David Halperin at Republic Report has a rundown today of Kaplan University’s record, from intimidating prospective students to deceiving them to take on tens of thousands in debt with little hope of obtaining their promised career. As Halperin also notes, the Post’s old owners helped pressure lawmakers on Capitol Hill to continue providing billions in taxpayer money to the for-profit college industry. Notably, the sale of the Post to Bezos did not include Kaplan. With Bezos in charge, hopefully he can firewall his own education agenda from the Post in ways the previous owners could not. John Nichols writes about Bezos is not the big media story this week.